Chile is a land of extreme and sublime beauty. It has the world's driest desert in the north and glaciers that extend to the end of the world in the south. The Andes and the Pacific Ocean create the perfect setting for a country that is bordered by mountains and sea all along its length. Raging rivers, snow-capped mountains, glaciers and endless coastline make Chile the adventure traveler's dream. With a growing economy and political stability unparalleled in Latin America, Chile is the perfect place to find new opportunities. 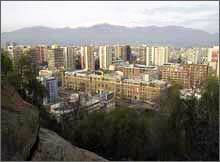 Our programs are primarily based in Santiago, the capital of the country. Santiago is a vibrant metropolis considered one of the most modern and exciting cities in Latin America. 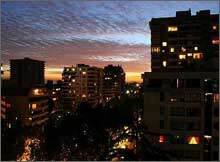 Santiago is a place full of culture and entertainment, with a strong European influence, where economic development is tangible and the lights never go out. There are also limited placements available in Valparaiso and Viña del Mar. ELI offers a number of volunteer and internship options in both nonprofit organizations and companies. We have long-term internships in a variety of fields including Law, Engineering, and Health. Our programs are the perfect opportunity to develop your skills in a professional work environment and learn about the functioning of a country in the process of economic growth. Chile is also a country committed to reduce social inequality, a pressing issue throughout Latin American. Volunteer opportunities for social aid projects are available in a number of areas and can be arranged on an individual basis. *Volunteers for any of these programs must have functional Spanish and the flexibility, patience, and energy needed to work with children. The women’s shelter takes care of girls and young women who have survived domestic violence. Often times these women arrive with babies or small children to seek refuge. For the children, life in the shelter is kept as normal as possible. If the mothers are employed, we help them maintain their jobs and make sure the schooled-aged children continue to attend school. The younger children are looked after by on-site teachers. Particular attention is given to the girls/women who have experienced very traumatic situations. Gaining back the women’s dignity and meeting the children’s basic needs are important goals for the shelter. This well-regarded foundation receives children from the age of 2 years up to adolescence and adulthood. Most of the patients suffer from brain paralysis, down-syndrome, autism, visual disorders and other disabilities. They have 20 specially trained horses and a groomer that takes care of them. Since its conception, the institution has relied on volunteer support to keep their doors open! Volunteers are in charge of patient security on the horses, and in supporting them throughout their therapy. They may also help the certified therapists with their daily work. The working hours of this project are Tuesday- Friday from 3 pm until 6.30 pm and on Saturday from 10.30 am until 1 pm (optional). *The horses are only used for therapy and are not available for volunteers to ride! ELI partners with some great organizations aimed to help children with disabilities, athletes and individuals offering unique opportunities for internships for professionals and advanced students of Physical Therapy. ELI partners with a variety of small and medium sized firms in Santiago looking for interns in the following areas: international business, marketing, entrepreneurship, consulting, internet advertising, web design and online marketing. All internships are made on an individual basis depending on the length of your proposed stay, your interests and availability. For participants interested on developing their journalism skills in English and Spanish, we have positions available in Santiago in the areas of web writing, journalism, photography and radio. Participants can work as writers or photographers for online or printed media, focusing on news and cultural stories. Radio and television interns direct their own shows and work independently with the equipment to develop their creative ideas. Limited positions are available in Patagonia for journalism interns, working with a quarterly magazine in English and Spanish about the people and nature of the Patagonia region of Chile and Argentina. Our working Holiday program is a great option for someone looking to experience Chile and learn Spanish while covering some of the expenses by working! You won’t receive a salary, but all Working Holiday programs provide free board (all of your meals) and lodging. In some cases, even compensation money. 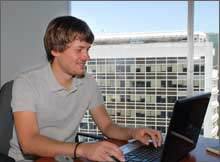 These unique programs are offered in the tourism sector and give you the opportunity to explore Chile and get to know people from around the world! Ski Centers: Possible tasks include helping with ski rental services, selling ski tickets, reception, or helping out in the kitchens. Surf Schools: Possible tasks include assisting with surf students, maintaining equipment, marketing and sales, translation, etc. Tour Operators: Possible tasks include reception, organizing and guiding tours (horse back, rafting, sightseeing, wine tours), marketing, etc. Please note that placements with Ski Centers and Surf Schools are very limited and that Chilean seasons are opposite to the USA and Europe (ski season is June- Aug and surf season is Oct- April). 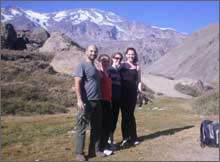 Hotel and Tour Operator positions are only offered in Santiago as internships and not as work holiday programs. Our Farm Stay programs are a great way to escape your everyday life and experience rural Chile. The Farm Stay programs primarily take place on horse ranches, farms with other animals (husky dogs, goats, sheep, cows, etc. 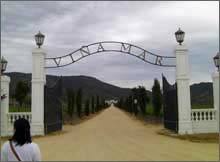 ), touristy farms, agricultural plantations, zoos, etc. 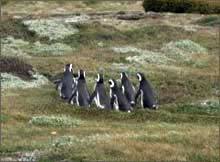 The program sites are usually located in beautiful areas allowing the participants to explore the scenic nature of Chile. Some of the farms are dedicated to tourism and offer horseback rides lasting from a few hours to several days and accommodations for guests in rustic and cozy guest houses. Participants help staff care for animals (grooming, feeding, and training), organize and guide horseback tours, assist with harvesting and planting, help with administrative and marketing tasks, etc. 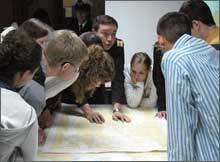 ELI can customize internship programs in a number of fields and areas. We offer diverse opportunities including placements with national and international companies, a variety of NGO’s, as well as a number of governmental institutions. If you do not see your field of study listed, please inquire! Opportunities are always changing. * Please note that all internship placements in Chile require a high level of Spanish proficiency and a minimum commitment of 4 weeks. Spanish Classes: $225 (1 week, 20 hrs) *Please contact us for the most current pricing. Cost can vary depending on duration and type of class (private, group, etc). Prior to confirming the placement, a $200 deposit must be submitted. This deposit will be credited towards the overall program fee. If the program is cancelled after the placement has been accepted by the participant, the deposit will not be reimbursed. During your internship in Chile, you will be accommodated in a local homestay.ELI truly believes that this is the best way to fully immerse in another culture and get the most from an international experience. You will have a single room and share common areas with your house mates. Our homestays are of different size, some only rent one room others rent several rooms. Half-board (breakfast + dinner) is not usually provided but can be added for an additional fee. All families are carefully screened and are well-respected members of the community. Most host families do not speak English, creating a full immersion environment to help participants improve their Spanish language skills. We carefully select the accommodations and make sure that they are located in nice and safe neighborhoods with good infrastructure and public means of transportation. Typically, you can find supermarkets, restaurants, bars, and shopping centers nearby. Internet access is available at 100% of our accommodations!. Arrival dates are flexible. You may choose your own dates. Remember that you will need some time to rest after your trip (Most flights are overnight!). Placements begin Monday morning. Airport pick-up is only available in Santiago. If you are traveling to a project in a different city, we will provide transport from the airport to the bus station in Santiago to continue your trip to your final destination. Functional Spanish skills are required for all programs. You will need to be able to communicate in past and present tense. We recommend taking Spanish classes at your arrival if you think your language skills need improvement before starting your program. Read up on Chile before arriving. Having some background information on the culture, history, politics will make your adjustment easier. You are going to be in a 100% Spanish speaking environment so practice your Spanish as much as you can before arriving. Duolingo is a great FREE option! Participants will fly into SCL Aeropuerto de Santiago. Many of the internships will require a brief phone/Skype interview before offering you a position. Here's a handy tool to see what time it is in Santiago: Time Conversion Tool. If you live in the northern hemisphere, remember that seasons are the opposite! Check the Weather in Santiago. There is so much to see and do in Chile.